Peter Franklin has joined the Naples Art Association as Accounting and Finance Coordinator. He brings to the team nearly two decades of business leadership in Naples, including three years of accounting, finance and bookkeeping experience. 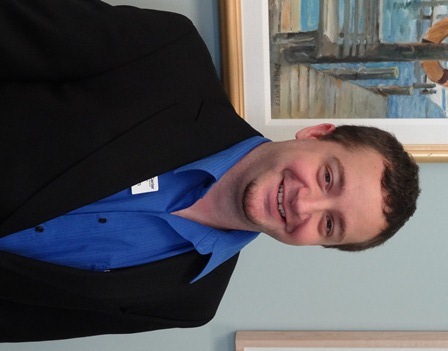 Peter is an accounting major at Hodges University, on schedule to graduate in 2013. He began as a finance intern at the Naples Art Association in March. In his new role, Peter will direct and maintain all financial activities of the Naples Art Association at The von Liebig Art Center. Peter was born and raised in Naples. He worked with Domino’s Pizza for 14 years, where he was a store manager, setting franchise records. He became a student at Hodges University when the economy took a bad turn and started looking for a new career. He started at Sunshine Pharmacy and Medical Supply.While helping them with the accounting, he ended up taking over all the books for the Medical Supply department. “I realized I liked accounting, and I decided to change my major and essentially my career path,” Peter said. He’s excited about the opportunity to work for the Naples Art Association. “As an intern you can see more of the outside looking in on how each employee and volunteer here has a passion about their position, and that is not very common anymore in the work place,” said Peter. When he’s not working or studying, he is relaxing with his wife and two stepchildren. The Fifth Annual Non-Juried All Artist Members Show of Shows Exhibition features artwork in all media by Naples Art Association members. The exhibition gives artists at all skill levels an opportunity to exhibit and share their artwork with a larger audience. 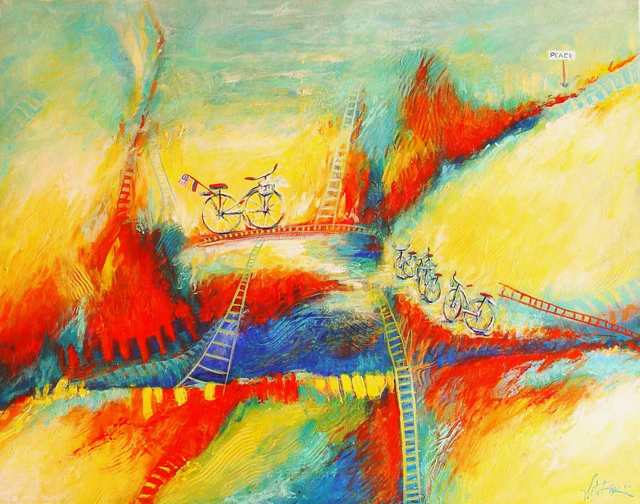 This exhibition will be on view through Oct. 5, 2012 at The von Liebig Art Center. Awards were generously sponsored by the Naples Art Association and Blick Art Materials. View selections from the 5th Annual Show of Shows exhibition and share your favorites with friends! Most shows presented by the Naples Art Association are juried shows, meaning the work on view has been reviewed and chosen among many to be included in an exhibition. The National Art Encounter exhibition is one that we relaunch every other season; the previous in the series was in 2010. It provides Naples with an assortment of art mediums and a chance to see examples of what’s new. Collectors also love the rare opportunity to view and purchase some of the country’s best artwork! Applications are now being accepted for National Art Encounter through Sept. 12, 2012. One or two recently created works in any media may be entered online or using an off-line “pen and paper” application (additional fee applies) available at The von Liebig Art Center. Offline applications are due by Sept. 5, 2012 and online applications are due by Sept.12, 2012. Three jurors will review entries and select awards. 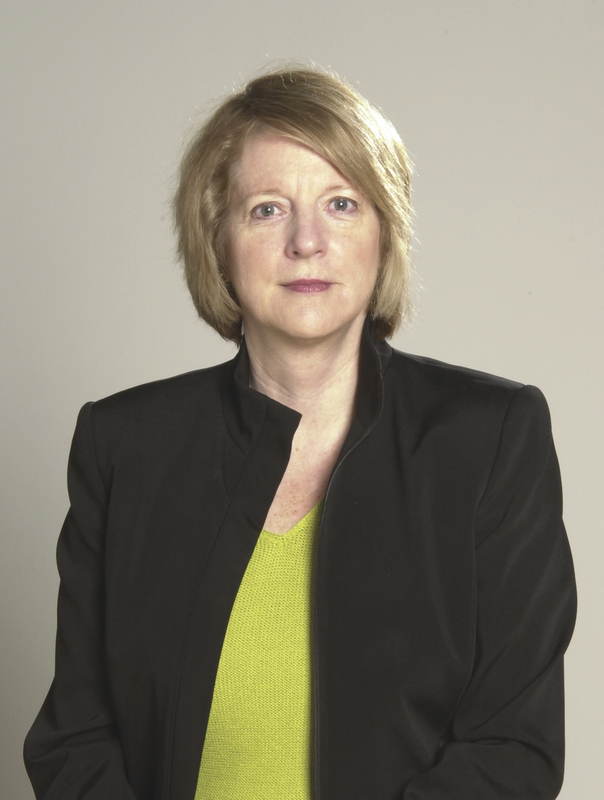 Margaret A. Miller is Director of the Institute for Research in Art at the University of South Florida in Tampa and a tenured Professor in the School of Art and Art History. The renowned art production atelier, Graphicstudio with the Contemporary Art Museum and the University’s Public Art Program form the Institute for Research in Art. Miller has been with USF since 1970. 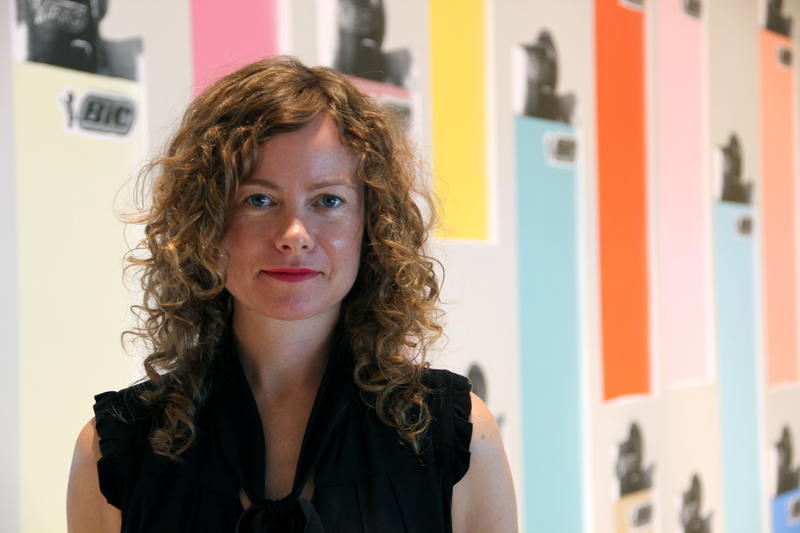 Corrina Peipon is Assistant Curator at the Hammer Museum in Los Angeles. Her projects include exhibitions from the Museum’s permanent collection as well as solo-artist exhibitions. She oversees the acquisitions committee for the Hammer Contemporary Collection, the museum’s growing permanent collection of works from the post-war period. Dulce Román is Curatorial Chair and Curator of Modern Art for the Samuel P. Harn Museum of Art at the University of Florida in Gainesville. 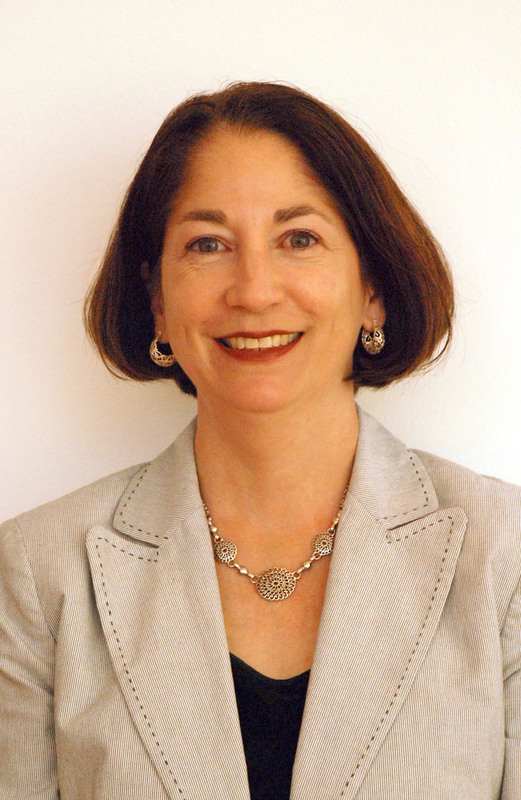 She is responsible for the development and management of the Harn’s collection of modern art, which includes nearly 1,000 works from the United States, Latin America and Europe. Prior to joining the staff of the Harn Museum, Román served as a researcher of Spanish art at the Frick Collection in New York and the department of European paintings at the Metropolitan Museum of Art in New York. Artists may submit in two entry categories: 2-dimensional artwork and 3-dimensional artwork. In the 2-D category only one image is allotted per entry. In the 3-D category a maximum of three images to show alternate views of the work may be submitted. Artists must include an artist statement with their application. Accepted artists will be notified by Oct. 18. The non-refundable entry fee is $29 ($22 for current Naples Art Association members). The preview reception and awards presentation for this exhibition will be held on Friday, Dec. 7, 2012 from 5:30 – 7:30 p.m. Exhibiting artists will be considered for awards totaling $2,500. The Naples Art Association, a 501(c)(3) non-profit organization, was founded in 1954. 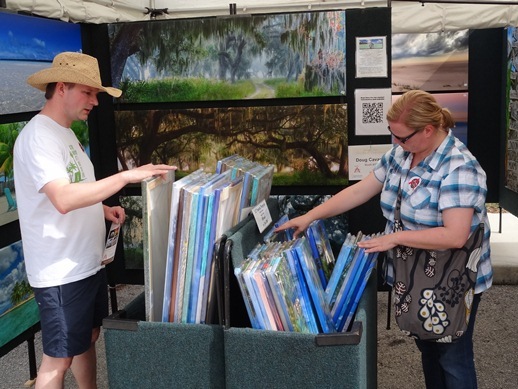 The goal of The Naples Art Association is to educate and promote visual arts in Southwest Florida by holding exhibitions, art festivals and educational classes for adults and children. Today, the organization operates The von Liebig Art Center, located at 585 Park Street in downtown Naples. The art center is open Monday through Friday, 10 a.m. to 4 p.m. Saturday hours of 10 a.m. to 4 p.m. will begin on Oct. 20, 2012. For more information, please call 239-262-6517. 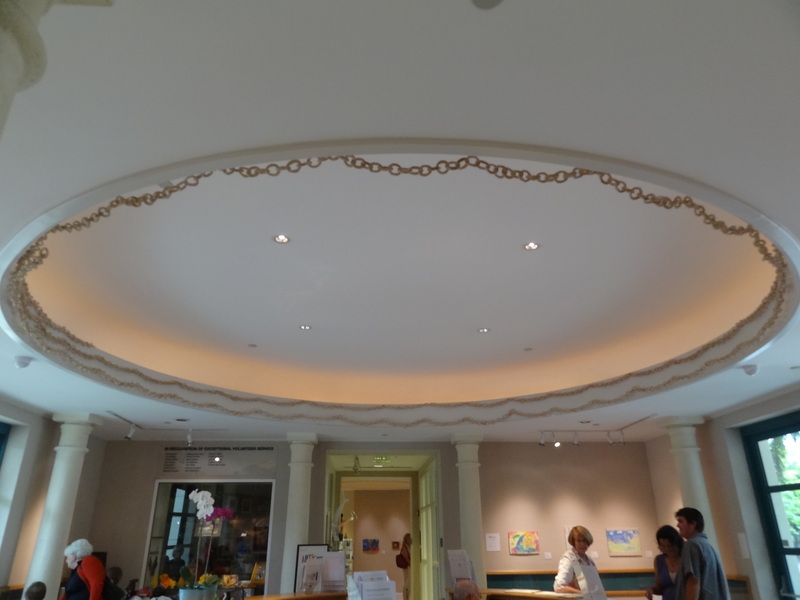 After eight weeks of collaboration, students in David Hammel’s ClaysCOOL class at the summer children’s education program ARTScool were proud to see their handiwork hanging in the lobby of The von Liebig Art Center. Help the Naples Art Association, Instructor David Hammel and over 200 ARTScool students as they apply for entry into the Guinness Book of World Records! The process is costly, and as a nonprofit organization, we are inviting the community to support our endeavor. Your $5.00 donation will help us achieve our goal of $5,000. You can sponsor as many links as you wish! All money collected will offset the cost of applying to the world record organization. Click here to purchase links from the Naples Art Association’s secure site. If for some reason we do not succeed in entrance into the world book of records, all money collected will go toward ARTSCool scholarships for the 2013 season. The Naples Art Association, a nonprofit, 501(c)3 organization, helps children learn and develop their artistic talents through ARTScool. The 14-year-old summer program is taught by state-certified instructors and provides opportunities in a variety of media including clay, painting, drawing, mixed media and more. Every class includes lessons in history, science, math or geography. Get out the vote! For your favorite Show of Show artist, that is. The Naples Art Association proudly announces its next show, the 5th Annual Non-Juried All Artist Member Show of Shows Exhibition. The community is invited to a preview reception to be held on Friday, Aug. 24 from 5:30 to 7:30 p.m. at The von Liebig Art Center in Naples. The artwork will remain on view from Aug. 27 through Oct. 5, 2012. Click here for a link to an assortment of social media friendly, sharable images from this exhibition. COO/CFO Aimee Schlehr says this exhibition is about shining the spotlight on our member artists. “We have 112 talented individuals featured in this year’s show. I love this event, not only for the beautiful artwork, but also because it attracts so many community members who are supporting the artists in their lives,” Schlehr said. The preview reception is a benefit of NAA membership. Non-members are welcome at $10 per person. Exhibiting artists may bring one guest free of charge. There are two People’s Choice cash awards ($200 Best of Show and $100 First Place) and two $75 Blick Art Materials gift certificates that will be presented. Everyone attending the preview reception will have the opportunity to cast one vote in the People’s Choice election. Voting will be overseen by the Collier County Supervisor of Elections Office. A full list of Show of Shows artists is on the Naples Art Association’s website. Award winners will be announced on the Naples Art Association’s website on Aug. 31. The Naples Art Association is grateful to its generous sponsors including Blick Art Materials for donating prizes, and individuals who give throughout the year in support of artist programs with the Naples Art Association. Thanks also to Walmart for their donation which helped fund the awards reception.